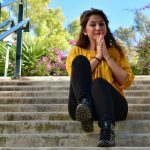 Since I was completely mesmerised by the beauty of the Catalonian city, I decided to compile a photo essay of my best captures. 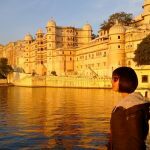 You can read the whole article about my trip here if you have not had the chance to do so. 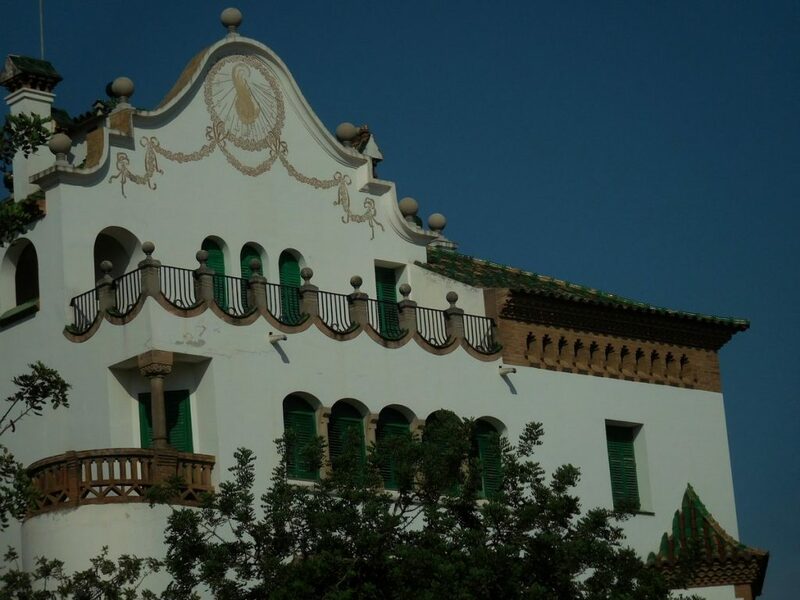 Before I jump to describing the photos you are about to see, make sure you have enough pecuniary means in your bank accounts because you might end up booking a cosy place in the Mediterranean Pearl that Barcelona is. 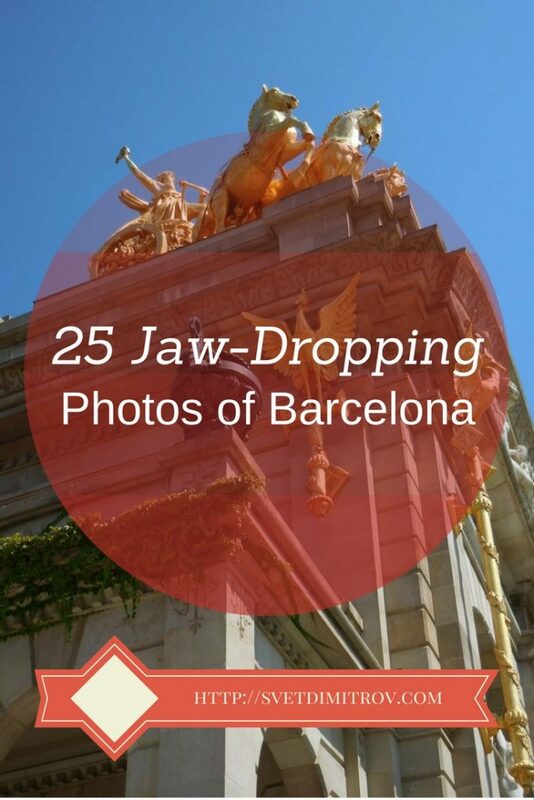 Without further ado, here are 25 pants-dropping (my version of jaw-dropping) photos of Barcelona. 1. 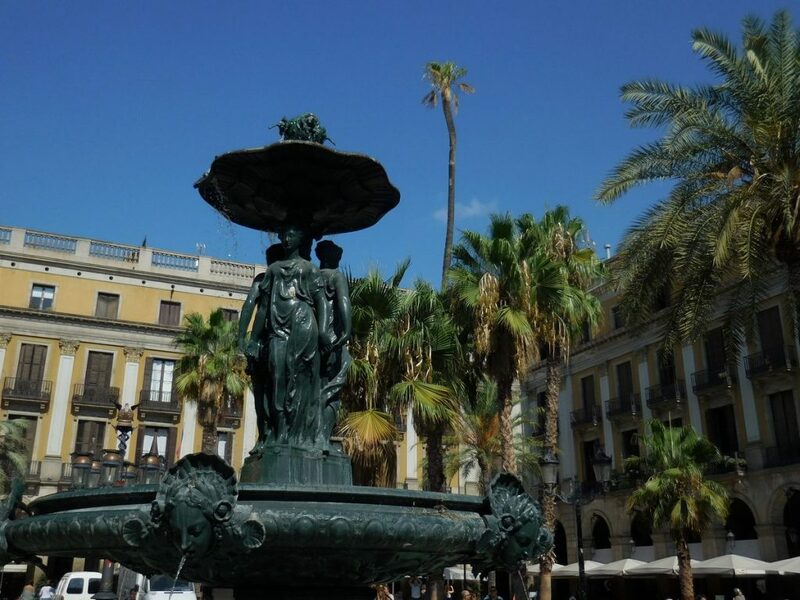 This is a gorgeous fountain located at Plaza Mayor in the Gothic Quarter. 2. 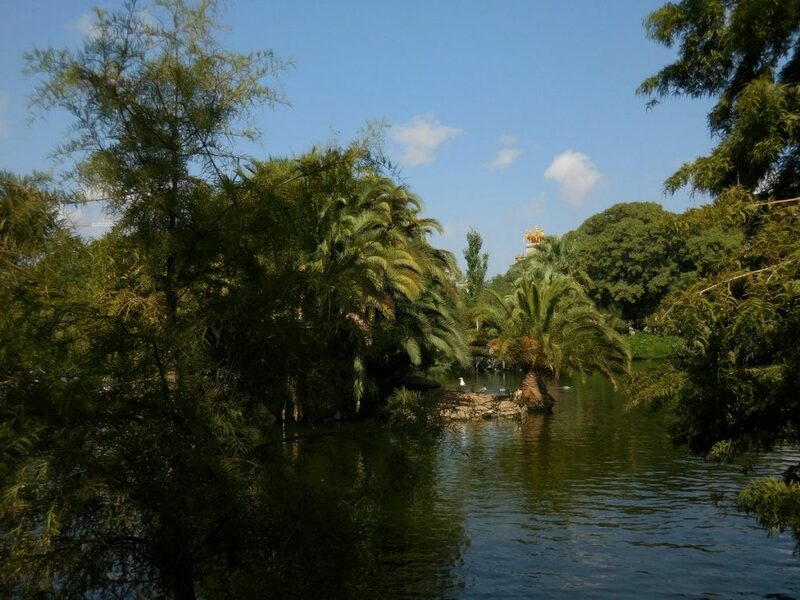 Barcelona’s enthralling Citadel Park has a wonderful pond where one can observe ducks and swans that navigate around it. 3. 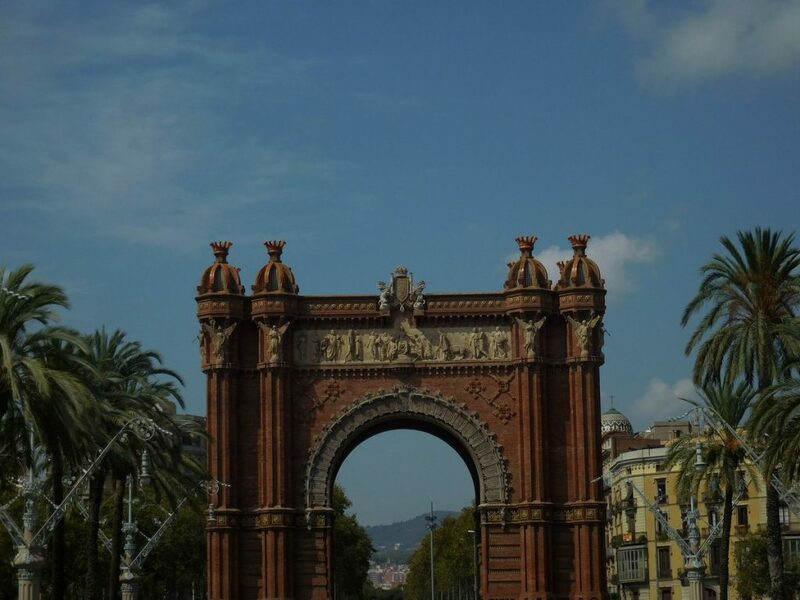 As the main access gate to Citadel Park, the Triumphal Arch of Barcelona is a splendid example of Neo-Mudéjar style, built with red bricks. 4. 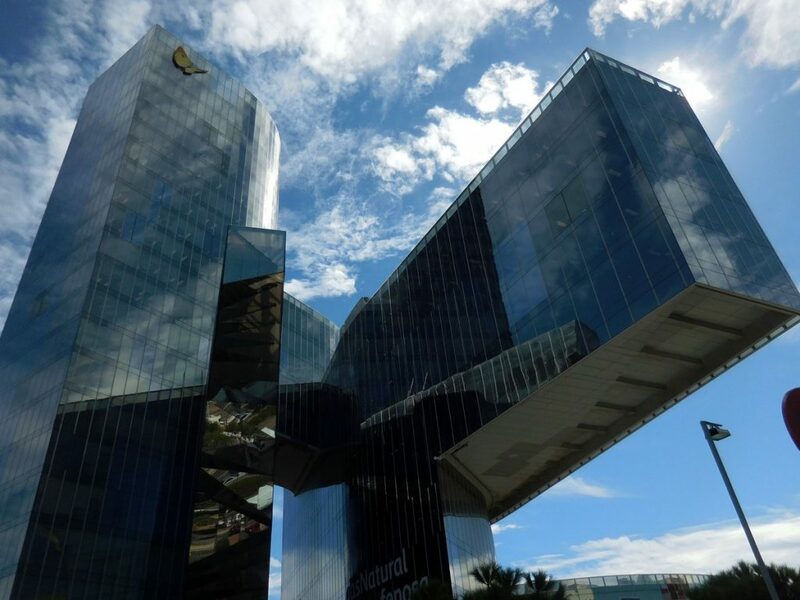 Wandering around the streets of Barcelona, one can stumble upon amazing pieces of modern architecture. 5. 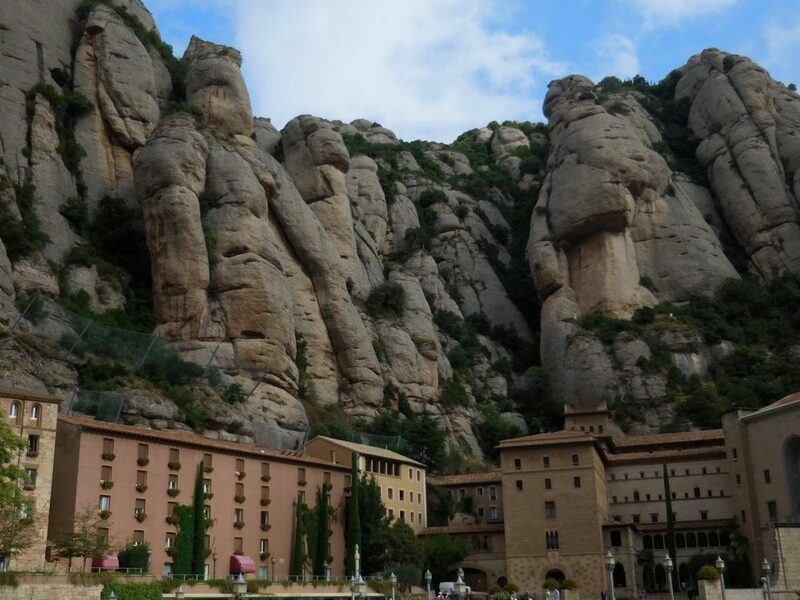 Moving around 40 km (25 mi) north of Barcelona, you will marvel at the staggering rock formations of Montserrat near the monastery. 6. 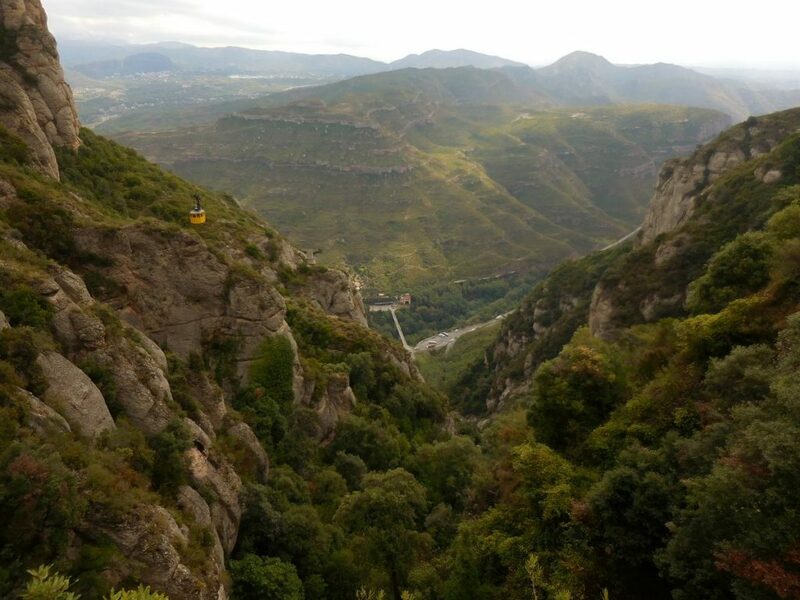 Before you go down to take the train back to Barcelona, give your breath a chance to be taken away again by the orgasmic panorama from the Montserrat Monastery. 7. 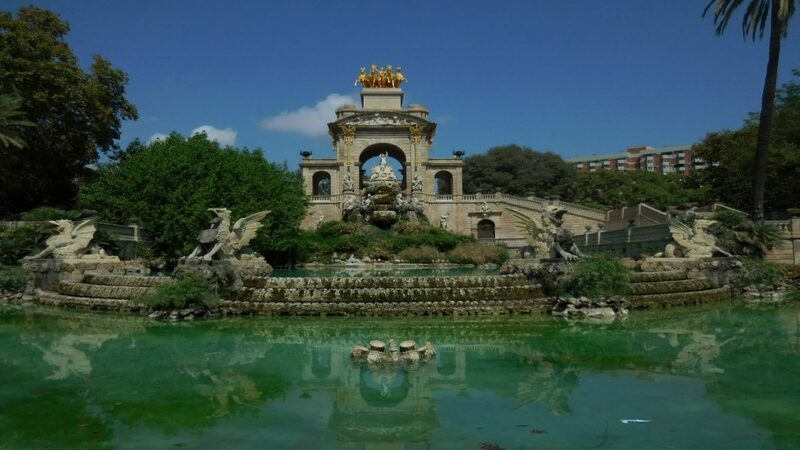 You have seen multitudes of pictures from Park Guëll. 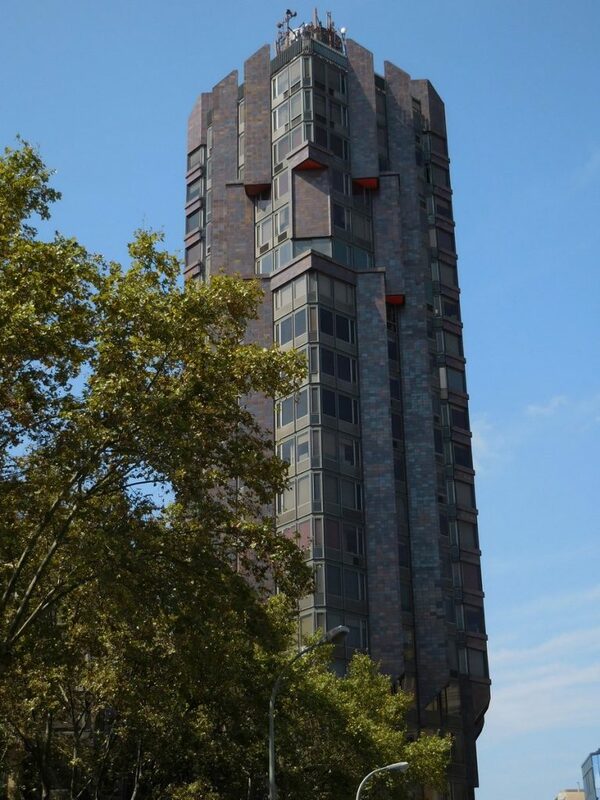 However, this one is found just a few metres away from the park and is no less captivating. 8. 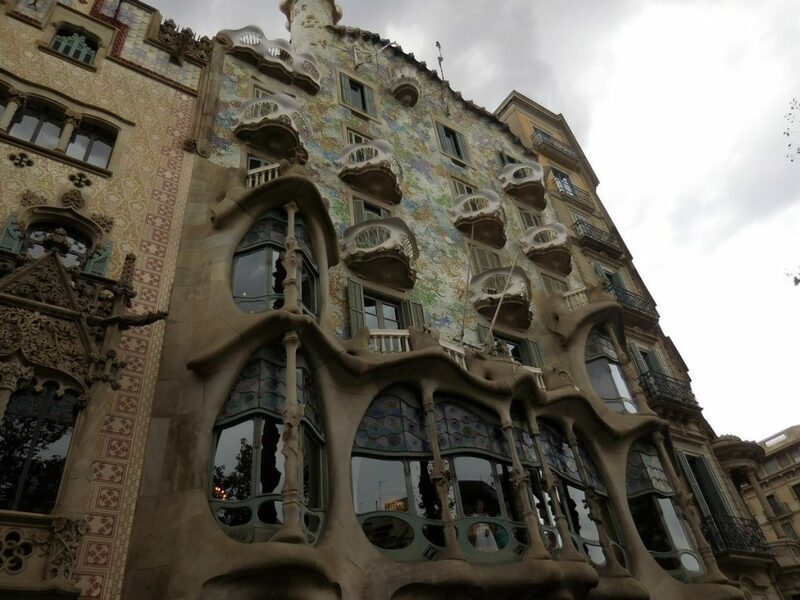 This is an image of Casa Batlló, one of the houses of Gaudí, located on Passeig de Gràcia – the main shopping street of Barcelona. 9. 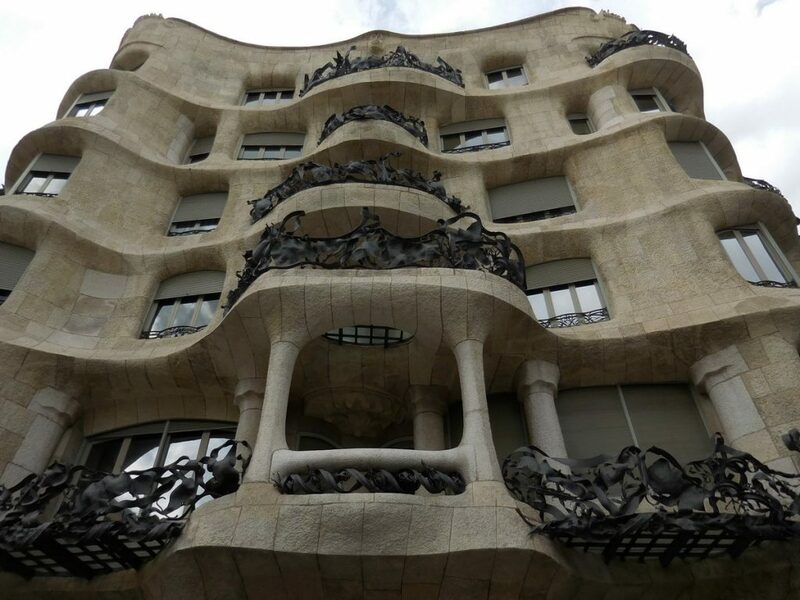 Moving a bit further north on the same street, you will ponder in awe at La Pedrera – another one of Gaudí’s masterpieces. 10. A different capture of Sagrada Familia’s exterior. 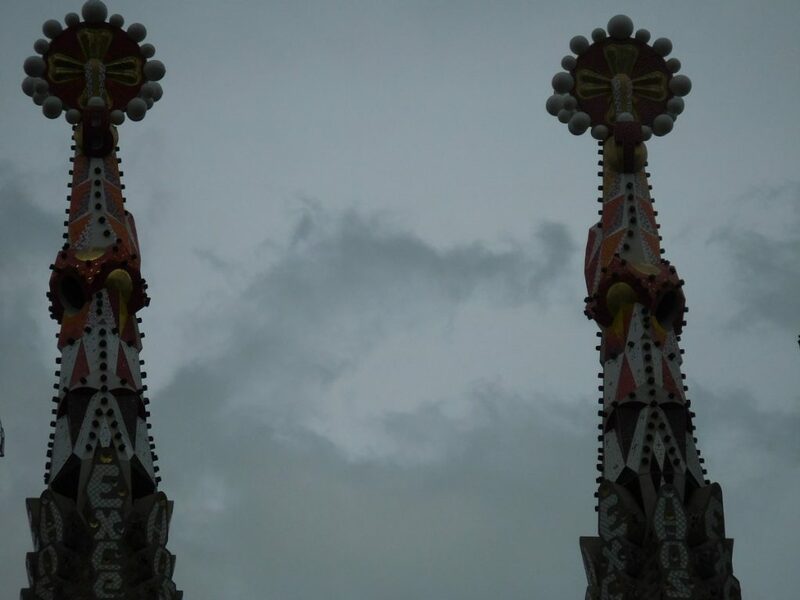 Just look at how ornate its spires are. 11. 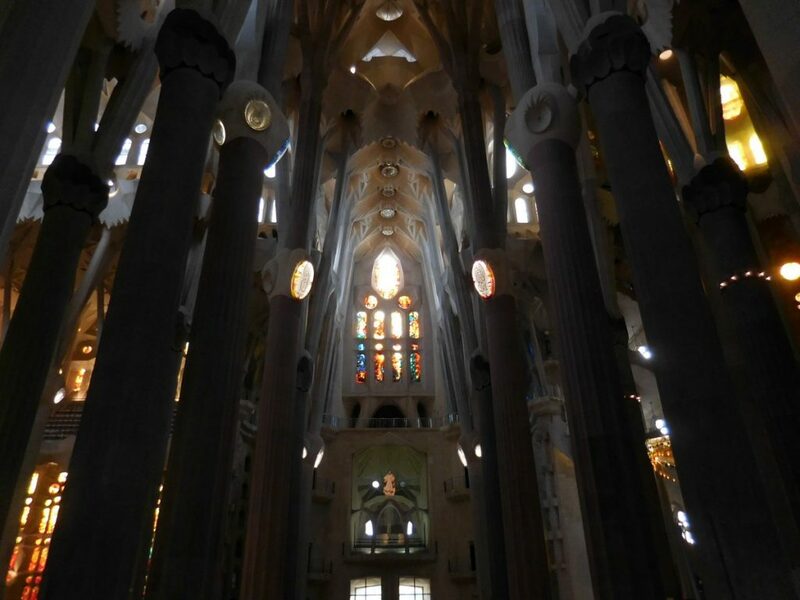 Many people have not been inside Sagrada Familia and that’s a pity. It is absolutely stunning! 12. 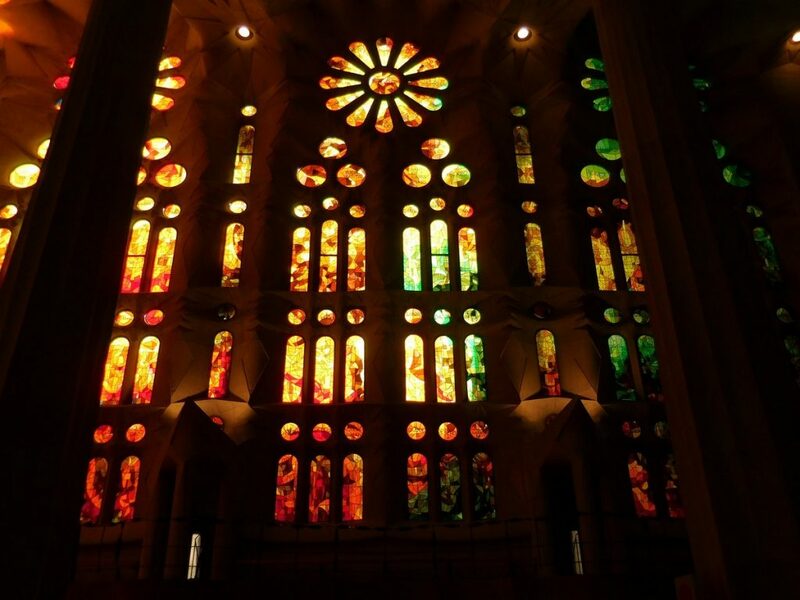 The stained glasses inside of the basilica allow the lights to enter into a playful and vivacious way. 13. 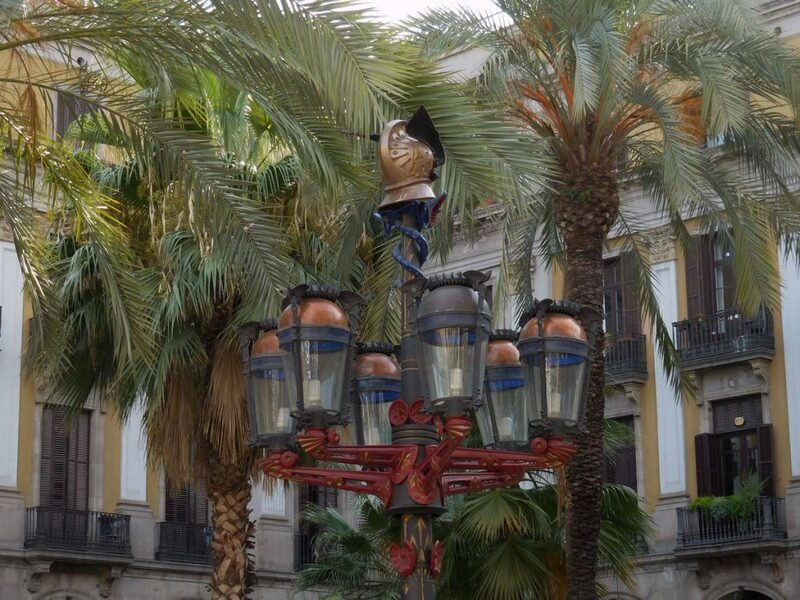 Pushing my way around the Gothic Quarter, I just cannot help but take images of peculiar, yet amazing, pieces of street lights. 14. 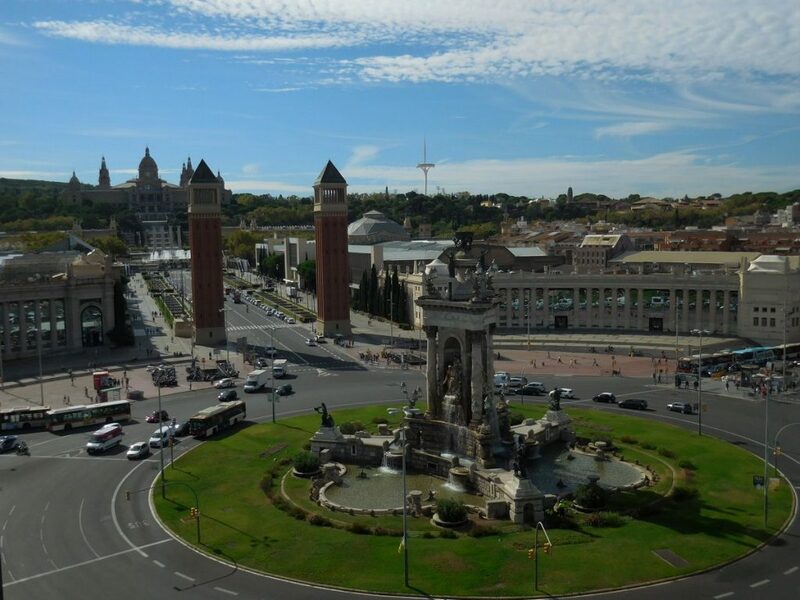 This is Plaça d’Espanya as seen from Arenas Mall. And skyporn. 15. 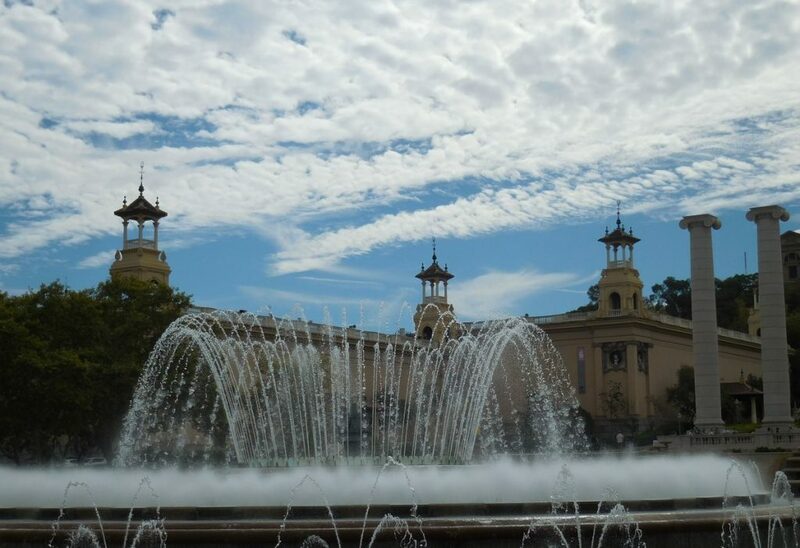 Getting closer to Montjuïc Hill, you will find its magical fountains. 16. 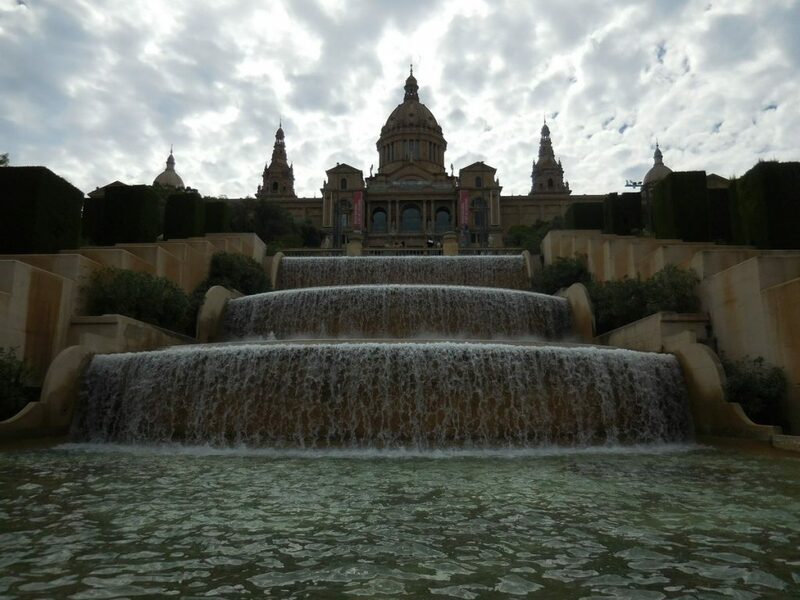 This is a view of the National Museum of Catalan Art with the water cascades in front. 17. The Montjuïc Communications Tower is one of Santiago Calatrava‘s obras maestras. 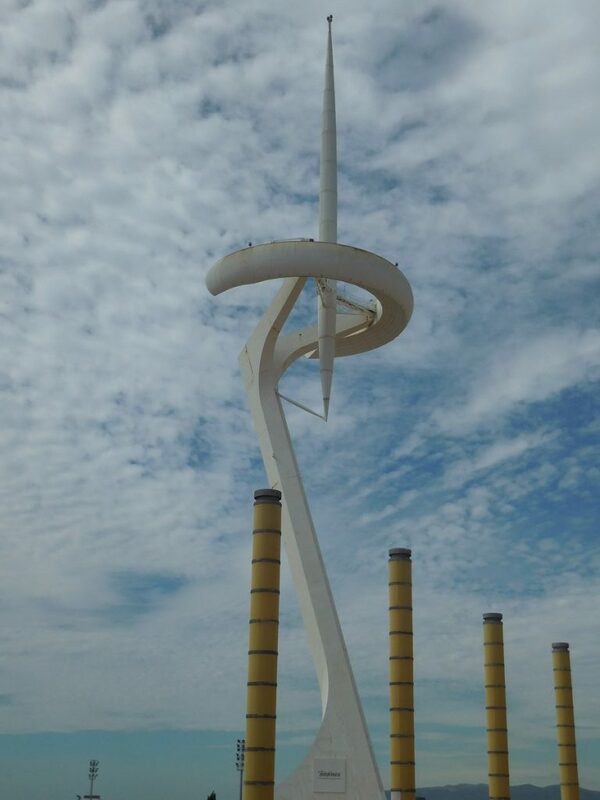 It measures 136 m (446 ft) and looks over the Olympic City of Barcelona. 18. 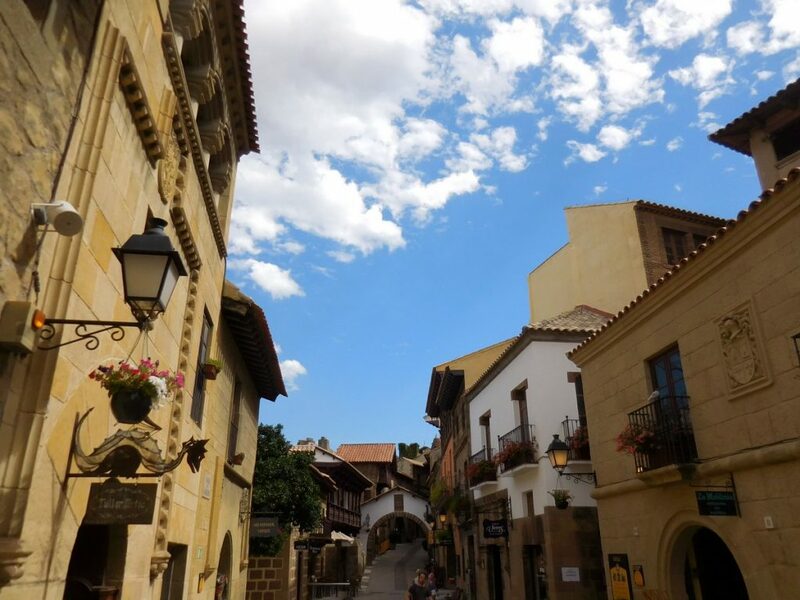 Poble Espanyol joins many of the Spanish regions into an architectural museum with their specific crafts and distinctive cuisines. 19. 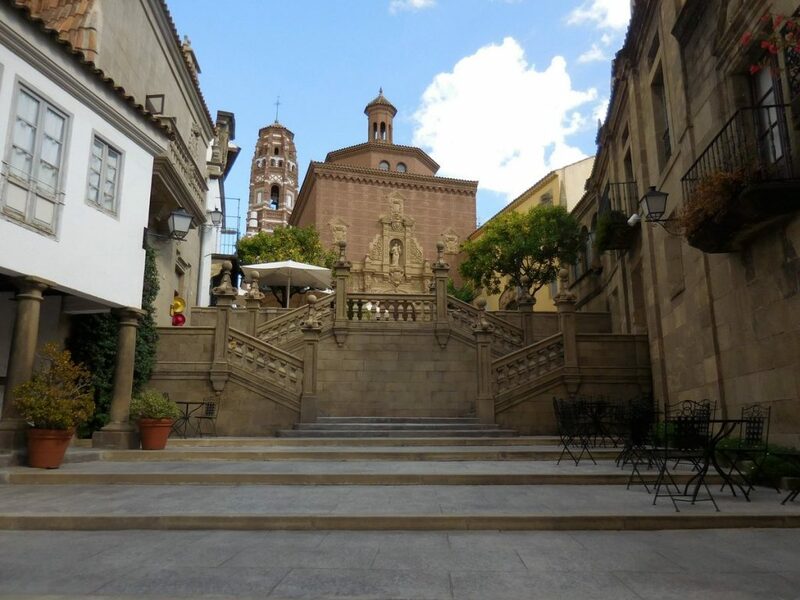 Sauntering around the Spanish town (Poble Espanyol), you will be enthralled by its picturesque architecture. 20. Columb’s monument, pointing to the New World – as seen from Montjuïc Hill. 21. 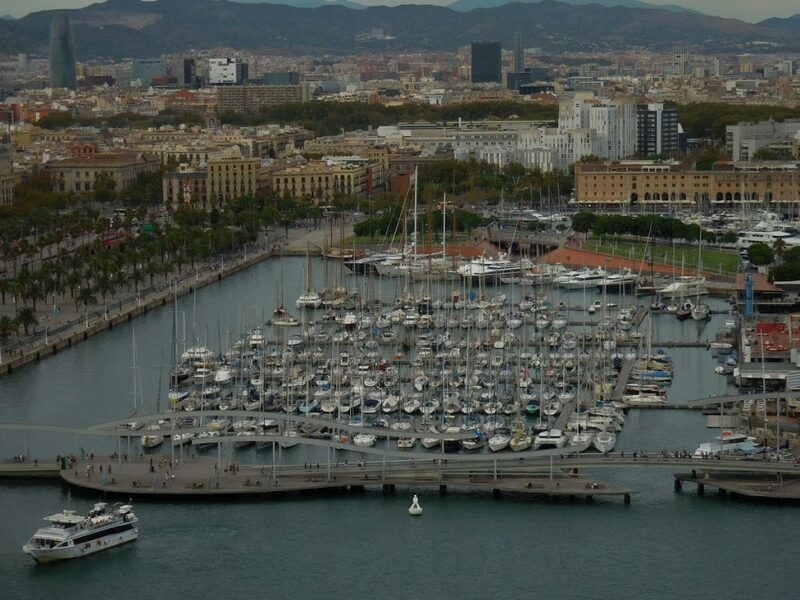 An aerial view of the yacht port of Barcelona. 22. 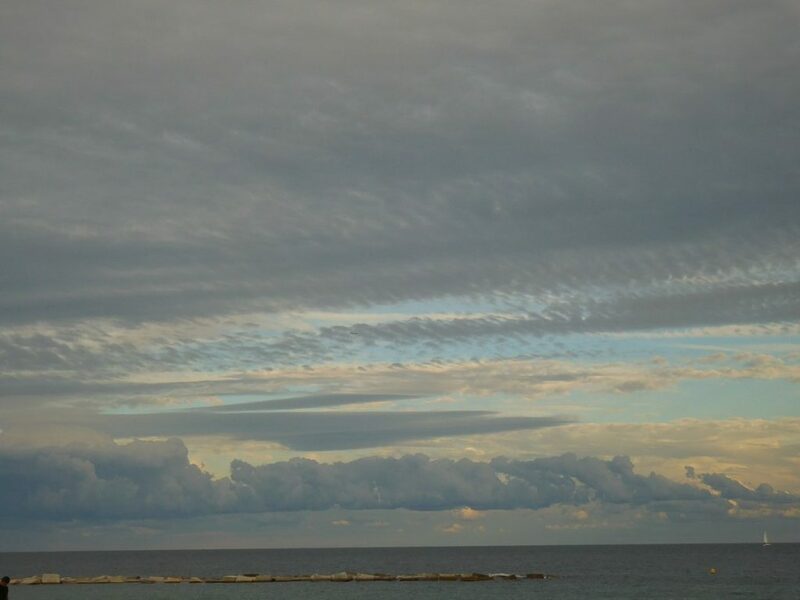 When I was in Barcelona, nature was painting drop-dead gorgeous images in the sky. This is at Barceloneta beach. 23. Contemporary architecture near the beach of Barcelona. 24. 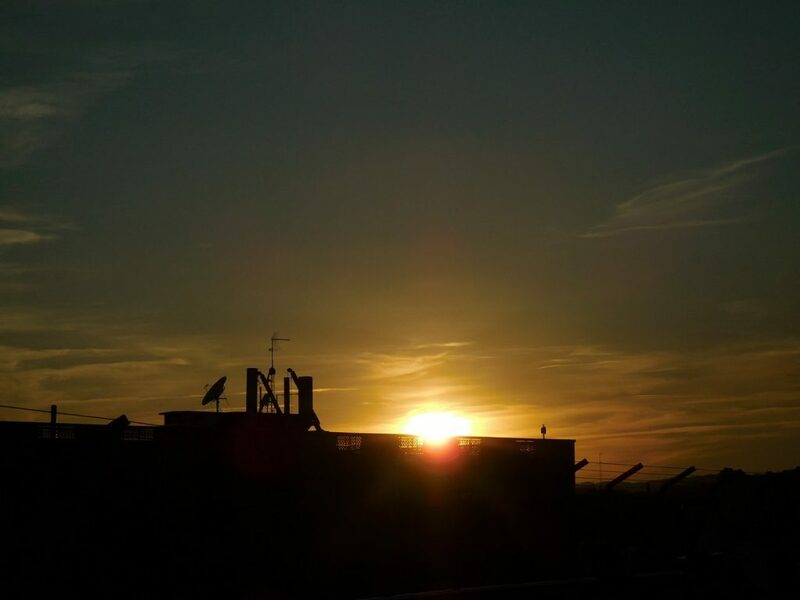 From the Arenas Mall near Plaça d’Espanya, you can contemplate at fascinating sunsets. 25. 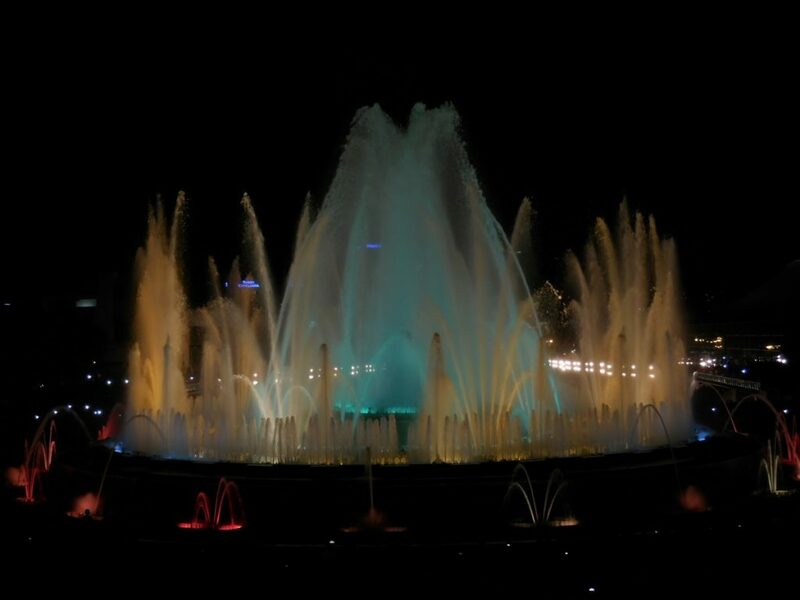 If your jaws have not dropped yet, here’s my last photo – the Magic Fountain of Montjuïc. I am sure you have many stunning photos of Barcelona. Which place you liked most there? 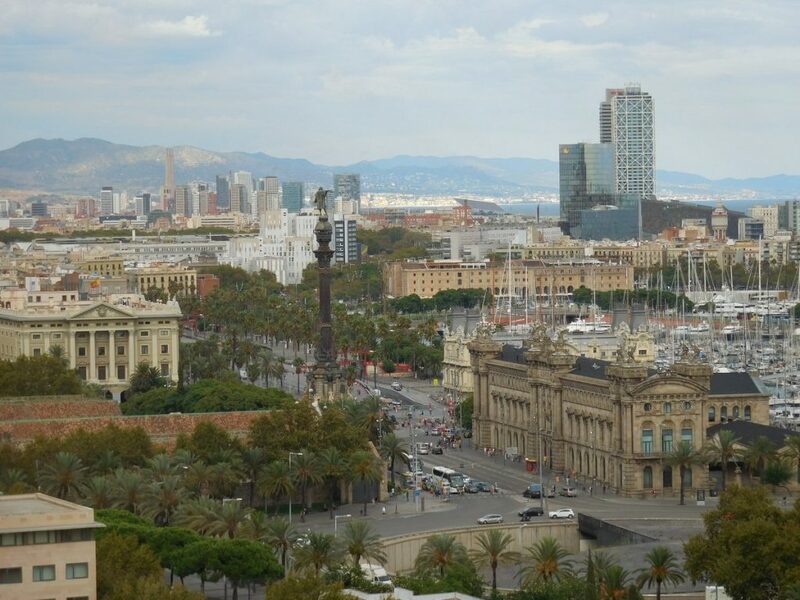 You should really – it’s so stunning in Barcelona! I would love to visit someday! It looks really beautiful and I love the mixture old and new architecture. Are you from Barcelona, Marta? 🙂 Thanks for stopping by! Such a variety of architectural styles. Lovely city! Barcelona is absolutely mesmerising, dear Ella! I wish you wholeheartedly to immerse yourself into its unadulterated charm – you will be swept off your feet!